Human and nature friendly activated CarbonFiber mask is born. We never know when our daily life faces danger of natural disaster such as earthquake, tsunami, and eruption, or accidents such as nuclear power plant disaster and collapse accident in tunnels, as well as new virus. Flu virus, cold virus, and pollen are spread in the air. These harmful matters enters into our bodies by breathing. To protect our lives, it is important to avoid these harmful matters from entering our bodies. 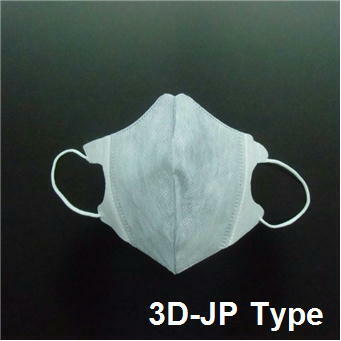 Activated CarbonFiber mask is a new type mask which uses advanced 21st century material, Activated CarbonFiber. Activated CarbonFiber is superior than powder and granular activated carbon in terms of adsorption capability. Thus, it enables to protect our body from fine particulate matter and virus. 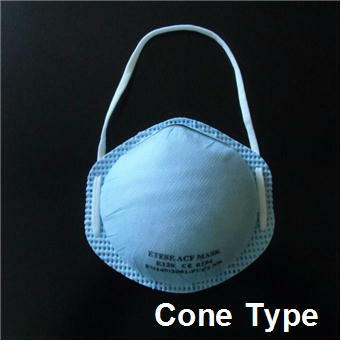 There are several types of Activated CarbonFiber masks such as family use, medical use, and work place us. We offer safety and healthy life by Activated CarbonFiber mask. 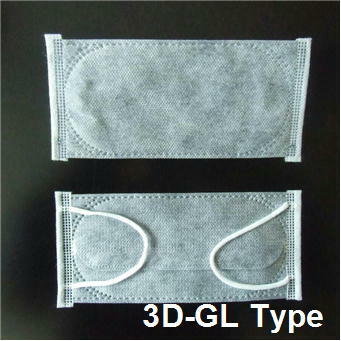 It has high filtering rate for fine particle matters and bacterium, so that it can block them out. 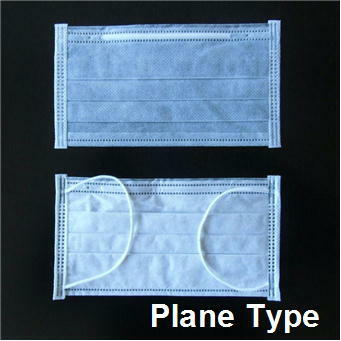 There are various types of masks depending on the usage. Activated CarbonFiber (ACF) is fibriform activated carbon. Since it is fibriform, it has large outer surface area, which is 200 times larger than granular activated carbon. Since it has lots of fine pore around the surface. Thus, its large surface area can effectively function, and it has faster absorption-desorption speed as well as larger adsorption capacity. Particles suspend in the air. When the size of particles are less than 10μm, it is called suspended particle matter (SPM). If the size of diameter is less than 2.5μm, it is regarded as fine particle matter (PM2.5). PM2.5 which is regarded as a causative agent of atmospheric pollution can reach bronchial tubes and lung through throat by breathing. Therefore, there is worry about its negative effect on human body. It might be the cause of asthma or bronchitis. Because small particles easily enter into body compared to large particles and attach to lung's air sacs, it is considered that PM2.5 has large effect on human body. 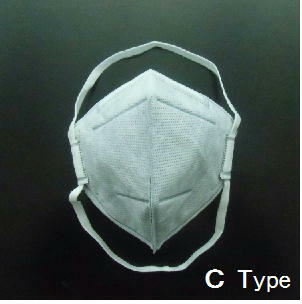 Activated CarbonFiber masks which use Activated CarbonFiber with large surface area block particles less than PM2.5 and bacterium out. Our masks comply with mask international specification requirements such as EN specification and U.S. NIOSH specification depending on the type. Copy Right （C)　2009 SOEN CO.,LTD.